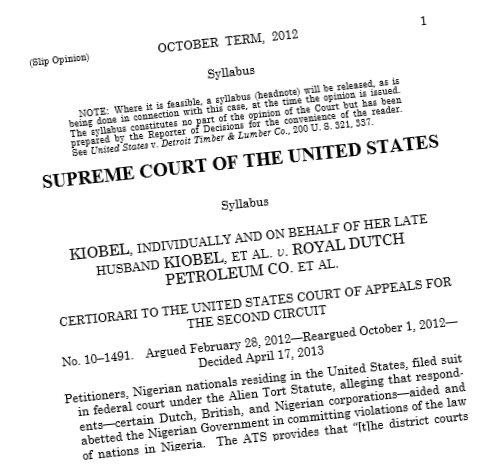 Perhaps the only surprise in yesterday’s ruling in Kiobel v. Royal Dutch Petroleum was the vote: the long-running lawsuit, brought by Nigerian-born U.S. asylees, was rejected unanimously by the 9 Justices of the U.S. Supreme Court. As I’d noted ‘way back in 2010, the question became ripe when the Court, in a securities judgment called Morrison v. National Bank Australia Limited, broadly reaffirmed the notion that absent clear statement to the contrary, all acts of Congress should be presumed to apply only within the borders of the United States. 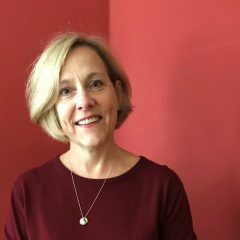 The sentences permit the inference that the outcome would not be predetermined if some “relevant conduct” occurred within the United States and/or if the corporate defendant were chartered in or otherwise operated extensively in the United States, to a degree greater than Shell. In short: Dealt a harsh blow yesterday, some litigation under the Alien Tort Statute lives on, though perhaps just to die another day.